In our never-ending quest to find the perfect photography-related gift for that special snapper in our life, we think we've just discovered a gem. And gem could be an appropriate word because this is a neckless, though there is no precious stone involved… just a bit of photo geekery. 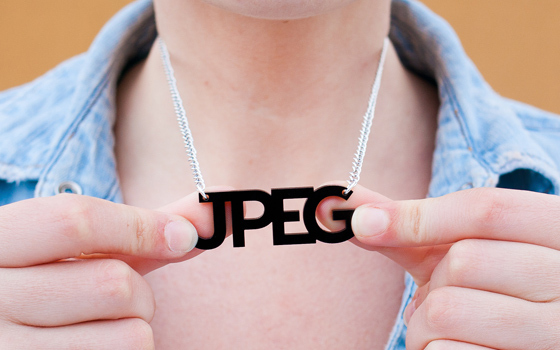 Hanging from the 18" silver chain necklace is a laser-cut acrylic JEPG logo which has been produced as the result of a special collaboration between Photojojo and Jen Murse of plastique*. 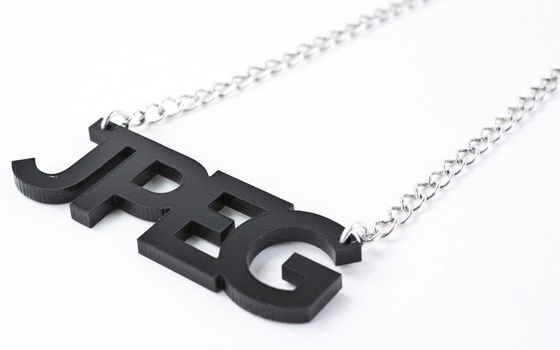 The striking black symbol is sure to set this $20 necklace apart from any other jewellery you've ever bought the woman in your life… just don't get it for her if she'd not into photography, okay?